Share the post "North Bridge Market"
It was actually a very pleasant day today where the temps didn’t get above 75 degrees, and with the sun shining most of the time, it brought all the more people out and about. While driving on the out-skirts of town, I noticed more of our farmers hard at it in their fields, and likely due to a time crunch since it sounds like we’re going to be getting rain again tonight. I just mowed several days ago, and it looks like it’ll be needing it again. I was glad to find over these past several days, our farmer’s markets back in full force. What popped into my head today was the idea that the vacant sections of Southbridge Mall could be converted into something like NewBo City Market in Cedar Rapids. I was very impressed by it the one time I was there which happened to be on a cold Sunday morning. I can imagine what it must be like during the summer–especially on weekends. 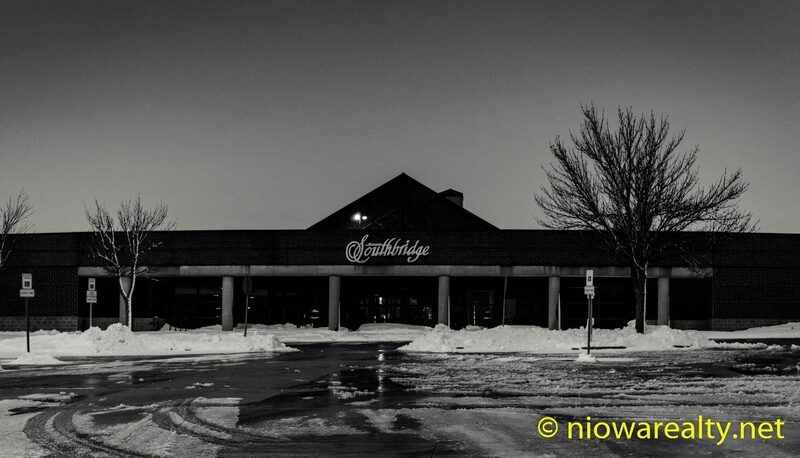 What would make it all the more successful, is that it would be only steps away from the proposed hotel that’s to be built in the south parking lot of Southbridge Mall. I can vouch that we get a great number of pedestrian tourists walking up and down Federal Avenue during our pleasant months, and they’re likely coming from the Park Inn Hotel. We could name it “North Bridge Market”, where there’d be a large open area like NewBo City Market containing kiosks of merchant stalls selling everything from food, drinks, souvenirs, and everything else one could possibly consider. There’d be enough room in that space to even create a craft brewery which seems to be quite the craze across America. Since the name “Southbridge” has had a toxic past of late, nearly everyone would stand up and give an applause for its name change. I could never understand why they named it Southbridge in the first place. It’s not south of the bridge, but rather north. If only I were one of the powers that be in this City, there’d be some changes made. I’ve heard from other people who live in cities in the upper Midwest where their artsy districts are surrounded by undesirable housing blocks. Yes, we can get mugged just about anywhere, but at least the likelihood would be diminished if many of those sleazy conversion apartments and houses in that district were gone. I nearly forgot to tell you all that I went shopping in Younkers for several things, and walked out empty handed. Can you believe that every single brand, make, and style of men’s belts in that store were made in China? I shook my head while walking away thinking, “Our country’s manufacturing abilities are in far worse shape than even I expected.”, and it all goes back to corporate greed and that cursed idea–Reaganomics. They always talk about being competitive, but when you think about it, they use that as an excuse because those competing manufacturers have always had the ability to get together and create win-win situations for all. My public open house today located at 217 – 5th St. NW was a fabulous success. There were far more in attendance than ever expected. The owner was kind enough to bake several dozen cookies for the occasion which were well received. Now don’t forget to think about all the possibilities of North Bridge Market. Tonight’s one-liner is: Timidity is laughable.